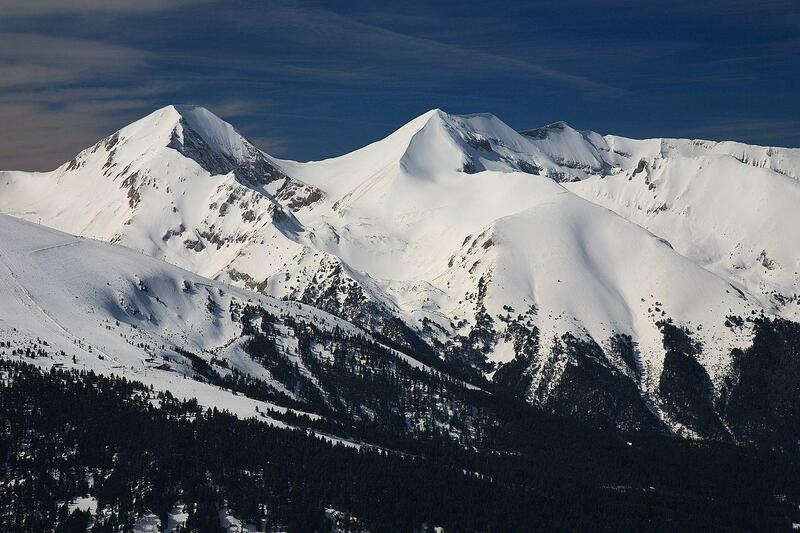 With its 2,914 m above sea level peak Vihren is not accidentally called the pearl of Bansko. 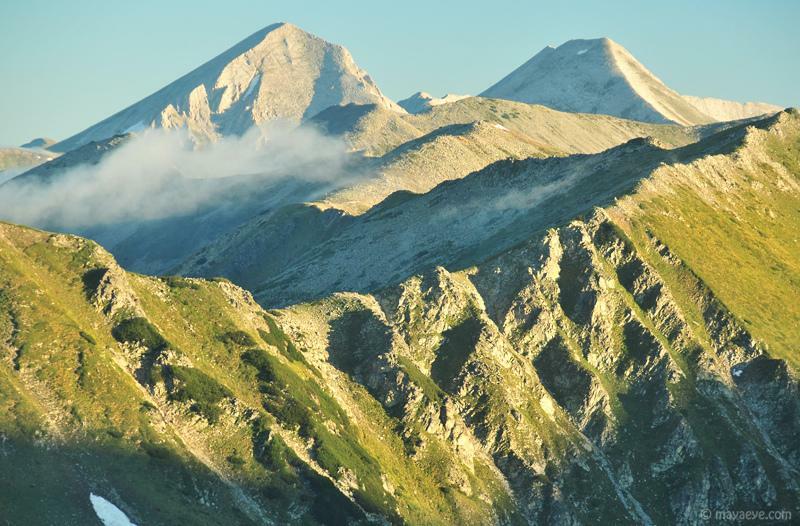 It is located in the northern part of Pirin and, more precisely, on the main ridge between Hvoynati peak and Kutelo peak, between the rivers Vlahinska and Banderitsa. 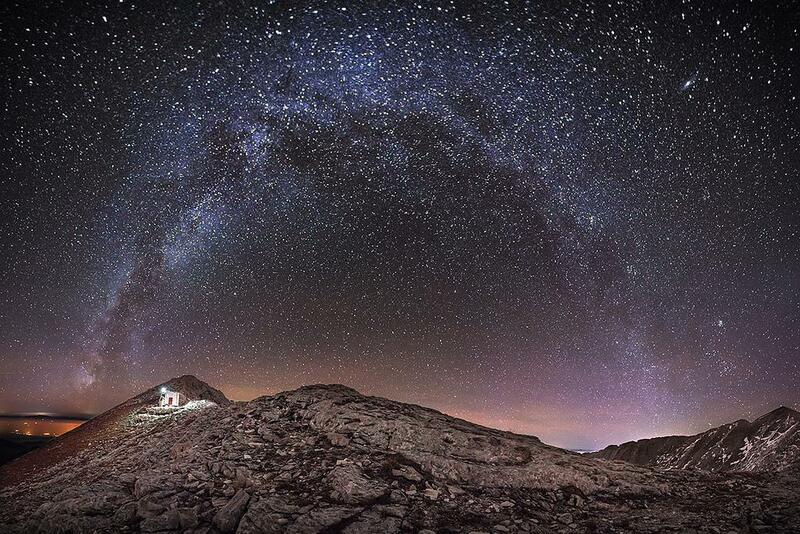 It is one of the most impressive tourist destinations in Bulgaria Pirin mountain. 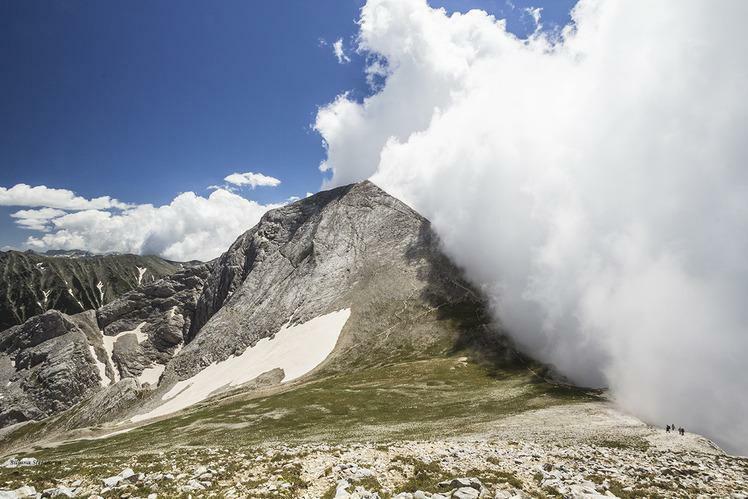 Any fan of mountain adventures, challenging itineraries and breathtaking views from the neighboring parts of Pirin and the majestic Rila Mountains with Musala in the north.It also offers magnificent views of the marvelous majesty of Kutelo (2,908 m), Banski Suhodol (2,884 m), Strazhite, the deep circuses of the Kazani located in the northern part of Vihren, as well as the picturesque peak Sinanitsa (2,516 m), Bashliiski 2,683 m) and Banderishki chukar (2,732 m),Polejan (2,851 m) and Malak Polejan (2,822 m), Kamenitsa (2,882 m), Jangal (2,730 m) and Todorka peak (2,746 m)with the stony slopes and coniferous trees. The slopes of Vihren peakare made up of marble rocks, they are rocky without vegetation and do not hold water. For this reason, there are no rivers and lakes in the region. They look white from afar, even when the snow melts. Vihren’s entire ridge along with Banski Suhodol and Kutelo, whose height reaches 2,800 m is made of this marble. 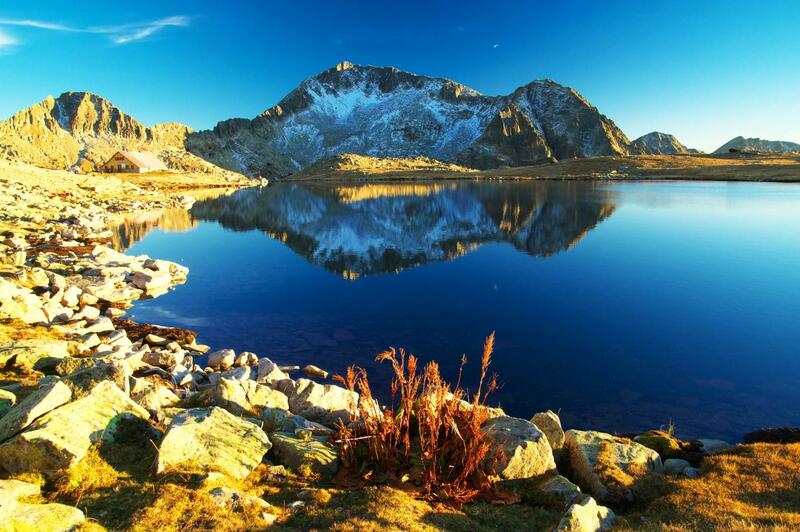 The Kabata saddle separates Vihren peak andHvoynatipeak from where a beautiful view of Vlahini Lakes is revealed. Some say that even the Aegean Seacan be seen from the peaks of Vihren in clear weather. In the summer, Vihren offers good visibility to the observation of rare astrological phenomena. The Vihren peak is connected with the Kutelo and Muratov peaks, of which Kutelois the third highest peak in Bulgaria. The nearest lakes that lie near the Vihren peak are the Banderitsa and the southwest Vlahini lakes which reveal magnificent views. The snow cover at the top reaches 3 m. The average minimum temperature is between-25° and -21° C and the highest is between 15° and 23° С. A curious fact is that the difference in the altitude of Bansko and the Pirin Mountains is 2,000 meters, there is a great displacement. With its impressive height and its impressive peaks, Vihren creates a strong contrast with the significantly lower slopes of the South Rila River opposite it. At first glance, the peak itself looks poor on vegetation and it’s just like a bare rock. In fact, the Vihren flora is not very rich – mainly lichens and grass. But flowers like yellow Pirin poppies, spring gentian, sky blue forget-me-not, and the famous edelweiss can be found. This beautiful and rare flower can be seen growing on the rocky edge of the Dzhamdzievi rocksnear the two circuses The Great and Little kazan in the northeastern foothills at the top, as well as at Koncheto. Unlike the flora, the fauna can be considered more diverse. At Vihren Peak there are wild goats (mainly living at foot of the Giant Kazan circus), small rodents, various species of birds such as mountain crows, ravens and griffon vultures. The Great and the Little Kazanare so called by the locals, as their shape resembles a deep vessel and because steam is often coming out of them as if they were boiling cauldrons. The little Kazanis located at 2,200 m altitude and its bottom is overgrown with greenery, and the Great Kazanis at 2,400 m height and has a rocky bottom containing debris from Kutelo and Vihren. One of the curious facts about Mount Vihren is that in the past until 1942, it was called Eltepe, which means “the peak of the storms”. This name derives from the legend according to which the peak of Vihren was the throne of god Perun – a Slavic thunderer. Local people felt awe of him and called the peak Eltepe. And Pirin Mountain takes the name of the Slavic Supreme God. The root of this name derives from the Thracian word “perintus” and the Hittite word “perunash“. The name Eltepeis given on a small shelter at the foot of Vihren. It was built in order to study the permanent glacier located next to Vihren. Vihren is second in height after Musala on the territory of Bulgaria and third on the Balkan Peninsula after Mytikas in Olympus, Greece whose height is 2,917 m.
When we look at it from Bansko, the top resembles a truncated pyramid, and when we look at it from the south it looks like a four-pillar pyramid, which is characteristic of its property. It has a different look from different directions. Climbing the Vihren Peakis difficult because the tip is characterized by slippery rocks and steep cliffs, but not an unbeatable challenge for most people. For the first time Vihren was conquered by two Bavarians – Dr. Heinrich Auer and Bernard Mosl in 1934. They managed to climb Vihren’s 450-foot tall north wall. Vihren is also associated with local beliefs. About peak Todorka, for example, there are two interesting legends. According to the first legend, the bold Bulgarian Todorka, who was a defender of the Sitan fortress, fought with the Turkish invaders to the last of her strength. She preferred to die instead of accepting their faith. In this legend the name of Murat Bay is mentioned; peak Muratov has been named after him. As she was chased by the Turks, Todorka climbed to the top, rising above the fortress, and jumped from it. And in the second legend, the ordinary girl named Todorka wanted to marry her beloved Vasilis (Vasilaky), but her father did not allow it. So, she escaped from her native home, climbed to the top and began to cry. Her tears flowed down the slope and formed the lakes Todorini ochi (also called Todorini salzi). Her beloved Vasil sought her everywhere in vain. He reached Vasilashki chukar peak and, in despair, threw himself into the lake below, which is part of the Vasilashki Lakes. There is another peak in the Vihren region whose name is related to the legend – Djangal or Djengal (2,730 m).It is located between Mount Momini dvoriand the Jangalska porta. The word “jangal” means a sheep that has lost its lamb. Jengal is also the name of a deity related to the cult to god Perunand also a name of a haidutin or a leader of a band that was fighting in the region. The trip to Vihren starts from the two Banderitsa and Vihren mountain hostelswhich are located in the valley of the Banderitsa river four hours from Bansko, which is 18 km away. The trail leaving from Bansko has a yellow marking. The path passes first through Banderitsa mountain hostel and after about 30 minutes walking reaches Vihren. The two hostels can also be reached by the Bansko lift,which takes 30 minutes to 1 hour. From Banderitsa mountain hostel to Vihren peakyou can reach for 2-3 hours as the trail passes through a coniferous forest and the marking is green. It is 18 km away from Bansko. 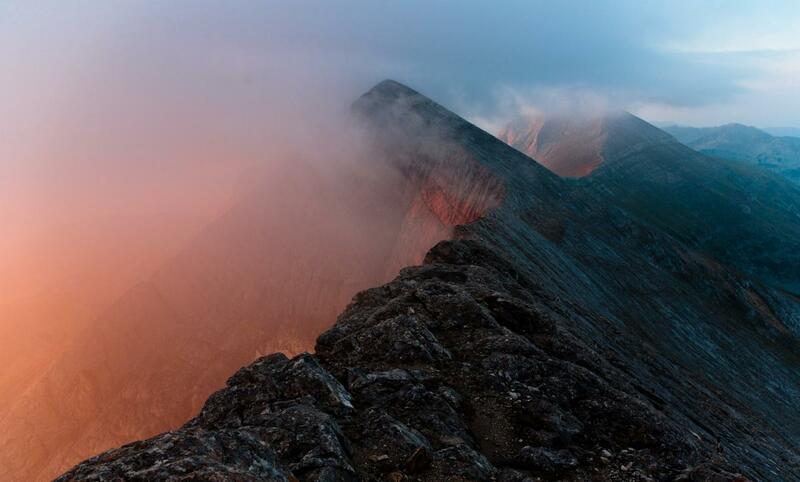 The trail gradually becomes steeper and passes through the cirques Great and Little Kazan and reaches the Premka saddle between the peaks of Kutelo and Vihre. If we leave the Vihren mountain hostel,we will need 2 or 3 hours again. There are two trails marked with red markings. The first trail passes the Kabatasaddle and the Vlahini lakesto the southwest from where Vihren peak can be reached. The direction of the second path is from the Kazanite and it is connected to the path from the Banderitsa mountain hostel. 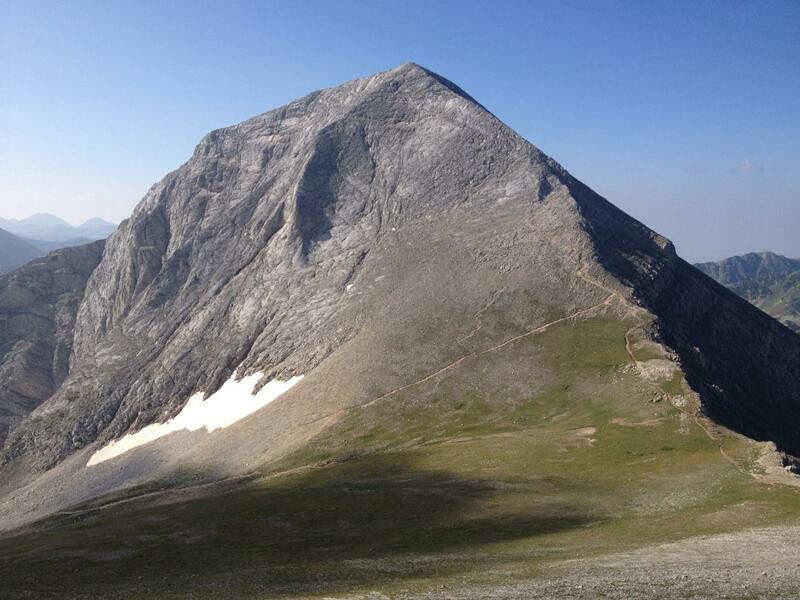 From the Yavorov mountain hostelwe can also get to Pirin’s highest peak. It is located at 4 hours from Razlog and offers an interesting transition, but it takes more time – 7 hours. It passes through the northern marble ridge of Pirin, climbing the peaks of Razlozhki Suhodol (2,728 m), Bayuvi dupki (2,820 m), Kutelo, Kamenitsa, Banski Suhodol (2,884 m). Those looking for rock adventures should visit theKonchetosaddle which is located near Vihrenbetween Kutelo and Banski Suhodol. Its passage offers a great experience for the seekers of strong sensations. The saddle is secured with a metal rope, which facilitates the passage of its rim. The name comes from the way it is passed, as it resembles horse riding. A shelter built in case the weather gets worse is located near it. The mountain hostels can also be reached by an asphalt road which saves time for climbing. The shortest way to get to Vihren is from the Vihren mountain hostel, with climbing for beginner mountaineers lasting an average of 3 hours, and if you take breaks – more time. Mountain firm shoesare mandatory as the trail is steep and strongly stony. It is a preferred place of mountain goats. Near the Vihren trail, there is the Kazanite areawhere the edelweiss grows. Snow is there almost year-round. The road from the Kabata saddle to the top is the most difficult to climb and in some places the slope is 45 degrees. Since the marble rocks of Vihren peak are slippery, it is good to equip yourself with appropriate climbing shoes. The most recommended season to climb Vihren is the summer (from early June to September), because then the day is longer, and the weather conditions are more favorable. 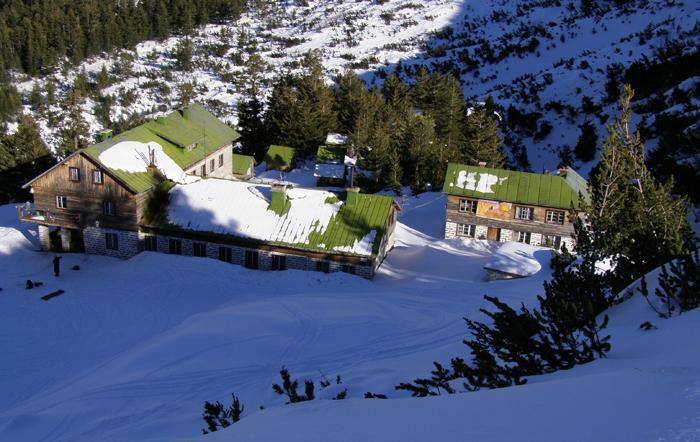 The easiest way to climb Vihren is the one from the Vihren mountain hostel (1,950 m). The other route to reach Vihren starts from the Royal Routeand the top can also be reached from the Kazanite sidebut this path requires better equipment. The third route to the top goes along the edge of the Dzhamdzhievi rocksand is suitable for truly advanced mountaineers with solid experience, professional equipment and good physical training. It is recommended to make the passage in clear weather and without much wind, because the terrain is rocky, it has steep slopes and precipices. Djamdjievi rocks play a role as a border between the Banderitsa valley and the Kazanite. They are the way down through the Kabatasaddle. The Pearl of Banskois included among the“100 National Tourism” tourist sites” of theBulgarian Tourist Union and is also part of the Conqueror of the Top 10 Mountain highest peaks initiative.